Militants armed with assault rifles attacked the vehicle about half a kilometre from his residence near Murran village in Pulwama district in the afternoon. SRINAGAR: Militants on Monday attacked the vehicle of a senior National Conference leader and former legislator in south Kashmir's Pulwama district, killing his Personal Security Officer (PSO) and snatching two rifles from the security guards. A police official said militants armed with assault rifles attacked the vehicle of Ghulam Mohi-ud-Din Mir about half a kilometre from his residence near Murran village in Pulwama district in the afternoon. Mir's two PSOs sustained injuries in the attack and both were evacuated to a nearby hospital, where one of them, identified as Mudasir Ahmad, was declared brought dead. The other PSO, identified as Nasir Ahmad, is undergoing treatment in the hospital. The police official said the militants snatched two rifles from the injured security guards of the NC leader, who escaped unhurt. Immediately after the militant attack, police, CRPF and Army personnel launched a combing and search operation in the area to track down the militants responsible for the attack. However, no arrests were reported during the search operation. It was the second attack on the life of the NC leader. He had escaped a bid on his life in May 2016. Mir was elected to the state Assembly from Rajpora in the 1996 Assembly elections and represented the seat till 2002. However, he lost the 2002 Assembly elections and also lost the last Assembly elections from Rajpora to PDP's Haseeb Drabu. Meanwhile, a militant was killed and two Army men injured in a gunfight near Safawali Gali along the Line of Control (LoC) in the border district of Kupwara on Monday. 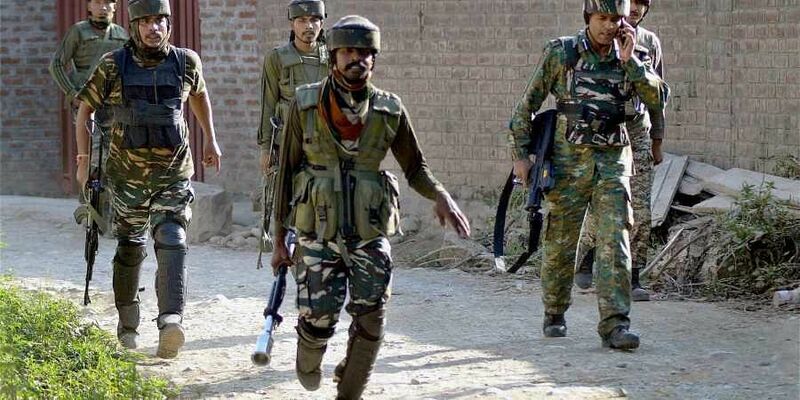 An army official said the gunfight broke out near Safawali Gali, adjacent to Batpora forests, after a joint search party of 10 JAKLI, 57 RR and 41 RR came under fire from militants hiding in the area. The fire was returned by the troops, triggering an encounter. In the ensuing gunfight, a militant was killed and two army men injured. The injured army men were hospitalised. Sources said the militants were part of a fresh infiltrating group and more troops had been rushed to the area to tighten the siege and flush out the militants. They said no fresh contact was established with the militants after the gunfight in the morning.